We would like to thank our partners, customers and users for a quite successfull year 2014. And we wish you and your families a relaxing christmas time and a great start into 2015. Now that the last day of the year is near, we would like bore you a bit with some stats that we are a bit proud of. SimSync PRO has been used in 2014 from 93495 different IPs in 128 different countries from Germany over Russia till Japan and also the other way around our planet via the USA to Brasil. We ARE syncing the sim-racing world! While the number of syncs and unique ips is nearly the same as last year, we served over 72% more data than last year. In figures, this means we served 78083,8 GB (76,25TB) within the last year which is an absolute new record. On August 17th, we were even able to serve in total 2.6 TB (1 TB = 1024 GB!) with 24 hours! These are figures we never dreamed of when we started this project. This project, or better, SimSync PRO is still evolving. There will be a new version next year with quite a lot new features and improvements. A first beta will be available in January 2015. So stay tuned! 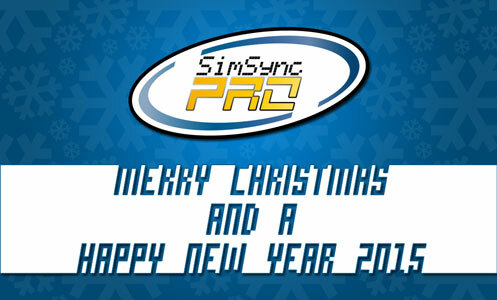 Thank you all for choosing and supporting SimSync PRO! … syncing the sim-racing world! Virtua_LM has released their long awaited GTPC mod. We have created a “sync” with the GTPC mod, together with some of their famous tracks. To install, download the sync package and extract it into your rFactor root folder. We recommend to use a fresh install of rFactor (lite) to aviod any interference with other mods.